Having a pair of cushioned running shoes is important when you go running. Without this, you run the risk of having foot pain that gradually develops over a period of time. Most of the time cushioning helps reduce the risk of an injury by absorbing the shock impact caused when the foot hits the ground. Having a pair of high-quality cushioned running shoes will eventually help you stay fit for longer. Yet, before looking into the choices of a good cushioned running shoe, it is important to look at the benefits of having a good cushion. Some say that cushions help reduce the chances of possible injury that the foot can get from running. On the other hand, there are others who dispute such a claim, stating they may produce more harm than good. Some of the points below are worth considering when buying a cushioned running shoe. Ground Impact vs. Thickness – A shoe’s thickness generally depends on how the feet are going hits the ground. However, a thicker shoe does not necessarily mean that the shoe will fully protect you from the impact of the ground. To maintain an efficient stride in various terrains, the body has to adjust accordingly. 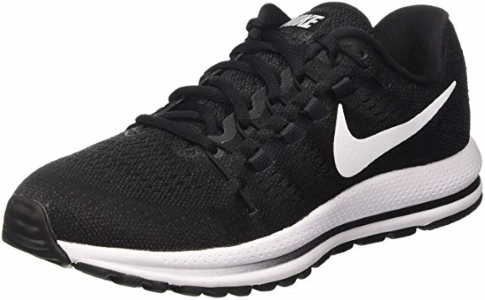 Effect of Thin Cushioning – Though the body can effectively distribute the impact force of the ground rather evenly, it cannot prevent high impact against the tough terrain. Therefore, if you wear shoes that have thin cushions, there may be a high chance that you will risk injuring and stressing your feet. This is particularly true for people with flat feet. Effect of Thick Cushioning – Too much thick cushioning can actually make the body over-compensate for the stiffness in the legs. As a result, this might adversely add more stress to the leg muscles. Not all cushioned running shoes are made the same, and as such, they differ in quality. Just like any good running shoe, well-cushioned running shoes have different characteristics that make them worth every penny. However, how do you know what determines well-cushioned running shoes? Here we discuss the qualities that make a great running shoe. Durability – A good cushioned running shoe should not wear or tear when first wearing the shoe. Even when you try to break in the shoe, it should not shorten its lifespan. In fact, a good cushioned running shoe should be able to conform to your running style and gait as time moves on. This ensures that you have received a top quality product and not just a cheap knockoff of a design from another brand. 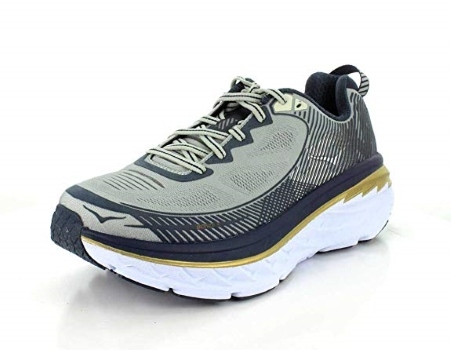 Non-Slip Outsole Material – Well-cushioned running shoes should have ample resistance against different kinds of pavement under various conditions. This means that you should purchase shoes that have a non-slip material such as gum rubber or polyurethane if they are indicated. This is because outsoles made from such kinds of materials are in fact proven to be slip-resistant and resist shock. They are also flexible enough to conform to the movement of your feet whenever you run. 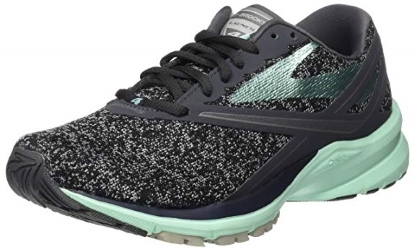 Stiff Midsole Material – When it comes to the midsole, you would want them to be as stiff as possible especially if you are looking at cushioned running shoes. This is because the purpose of having a cushioned running shoe is to prevent inward rolling. Stiff midsole materials are able to deliver such a quality, and most of the time these kinds are made from EVA material. Lightweight Upper – Depending on what kind of feel you want to go for, you may want to look for mesh, polyester, and other related materials. Such materials are known for letting your feet breathe more without compensating for protection nor weight. You will also find that these can fit your desired style depending on the color you want to go for. Shoe Shape – A good cushioned running shoe should have the proper shoe shape to fit your foot. This is because a shoe that is too constricting or too big can be troublesome for you when you try to go for a run. There are three kinds of shoe shapes, and you should know which of these conform to your feet: curved, semi-curved, and straight. Play by your strengths and weaknesses and find the best shoe shape for you for you to find out the best pair. Taking care of your feet by is a must if you are serious about your running. This is not only about simply protecting your feet for that moment, but maintaining good health in general. Prevents Back Problems – Many people who have back problems almost always suffer from it because they have been using unsuitable or faulty footwear. This is because the feet are no longer aligned properly with the rest of the body, and so the impact of the ground creates back problems. 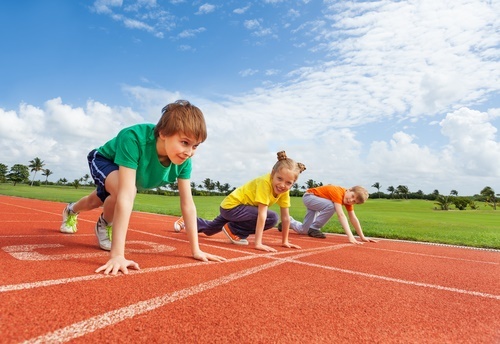 Protects Joints and Minimizes Impact – Most common sports injuries are ankle-based. That’s because all sportsmen use their feet at some point to do the movements that are needed for the sport. Good footwear can provide enough stability and protection when the foot hits the ground. Impacts Performance Positively – Some sports require special footwear in order for you to perform better. This is because good shoes provide support to specific parts of the foot. Soccer shoes are meant for more traction, while basketball shoes are made to protect you from the impact. 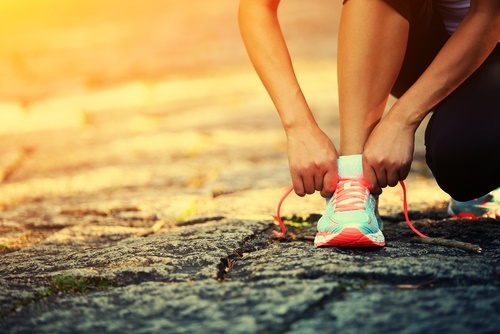 If you are wearing the wrong kind of shoes, not only will it hamper your performance but it may also cause issues with your physical well-being later on. Prevents Posture Problems – Wearing footwear that has high heels, for example, can lead to misalignment of the spine, which can cause problems in posture. Wearing good footwear will prevent misalignment of the body. Thus, this can also allow the body to relax more and balance itself properly. Prevents Unnecessary Pain – Foot pain has a tendency to resonate towards other parts of the body. If you were to wear good footwear, you could prevent such a thing from happening. It would also save you from the trouble of painkillers, medical bills, therapy and possible surgery. There are plenty of shoes that a person can choose from. Finding the right cushioned running shoe is important to optimizing performance and fixing problems with posture. Even if you don’t feel it now, wearing the wrong shoes may definitely affect your body later on. For this reason, we suggest some of the items down below. This product is available in eight color design variations and sizes that go up to thirteen inches. The product is of fabric material and has rubber soles. The upper part of the structure of the shoe is made of mesh. It makes the wearer feel comfortable as the shoes become breathable, allowing the feet to stay dry and cool. This has 3D Puff Frame, which secures the shoe to the foot without having to sacrifice its lightweight property. 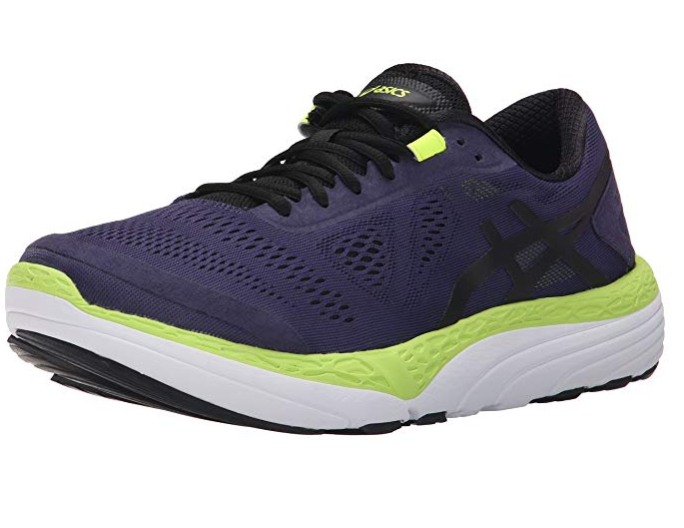 This product also features the Ortholite insole, which provides additional cushioning for arch support and comfort. This product is available in twenty-one color design variations and sizes that go up to fifteen inches. The midsoles of this product feature a soft lunar core and a firm cushion carrier to promote smooth transitions of movements, enabling the wearer to correct their gait. It also prevents any further harm to their legs and feet. The mesh upper material of this shoe keeps the product cool and dry, which makes this shoe very comfortable. The Flywire cables integrate with the laces for a more secure fit. This product is available in two color design variations and sizes that go up to fifteen inches. It is from synthetic materials and has rubber soles. Its shaft measures approximately three inches from the arch, allowing ample support on the ankle areas. Moreover, the shoe has insoles that are removable. You may be able to use orthotics while wearing the shoe. Furthermore, the newly upper portion of the shoe hugs the foot and adds support while giving a luxurious feel. This model is also designed to carry the benefits of the previous shoe models while improving the features of the previous Boracay models to provide a smoother fit and feel. This product is available in six color design variations and sizes that go up to fifteen inches. It is made up of engineered mesh and has rubber soles. It also features the ISOFIT soft inner sleeve that conforms to the foot for a sock-like feel, allowing the wearer to be comfortable and secure wearing this shoe. 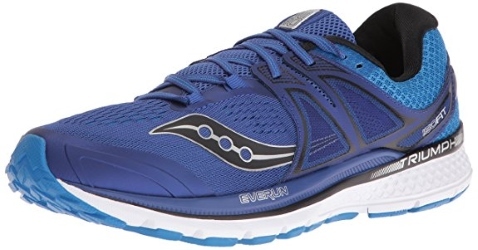 The Everun insoles allow the feet to be supported as it provides responsive cushioning. This product is available in two color variation. This is of textile and synthetic material and has a rubber sole. The shaft also measures approximately two inches from the arch, allowing more mobility without sacrificing the security of the foot. Moreover, it features the Amplifoam, which maintains its durability at softer densities. This also provides flexibility, comfort, and adaptability of the platform to the wearer’s gait to encourage natural running. This product is available in seven color design variations and five sizes that go up to 10.5 inches. This shoe is of fabric material and has a synthetic sole. The shaft is approximately 2.5 inches from the arch, making the shoe more secure than shoes with a low-top shaft measurement. Furthermore, the upper portion of the shoe connects to the sole via No Sew Speedframe technology. This, in turn, allows the shoe to maintain its structural integrity without having to sacrifice its weight. This product is available in seven color design variations and sizes that go up to twelve inches. It is of textile, ethyl vinyl acetate (EVA), and has a rubber sole. The shaft of this shoe measures approximately 2.3 inches from the arch, allowing the foot to have more security than low-top arches. 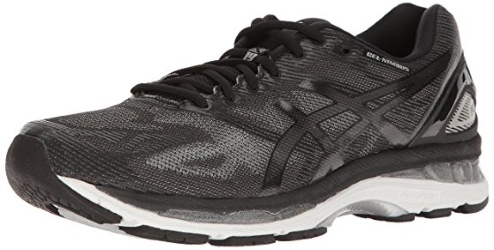 Furthermore, this is an ultra-cushion running shoe with neutral support. The innovative molds to the foot which allows for a more comfortable fit, without sacrificing security. It also features the Thredborne midfoot panel which delivers strength while being light-weight. This product is available in many color variations and sizes. The shoe is made up of mesh material and has a synthetic sole. Furthermore, it has a neutral type of support which is ideal for overpronators. 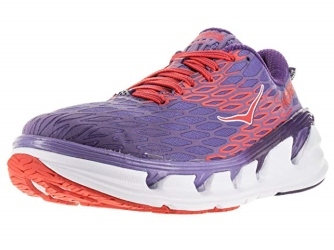 It also is light-weight and has a flexible cushioning that allows the feet to be more comfortable. Moreover, it responds quickly to the movements of the wearer. The air mesh fabric also provides breathability and moisture management, preventing the feet from getting sweaty and hot while inside the shoe. This product is available in six color design variations. It is of synthetic materials and has a rubber sole. 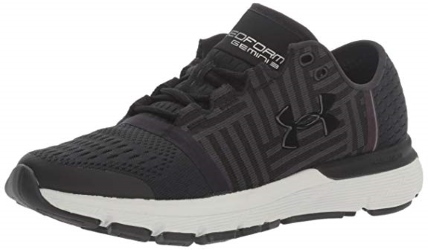 The shaft measures approximately low-top from the arch and the product features the FlyteFoam Midsole technology. Furthermore, the FluidFit upper technology in this shoe combines multi-directional stretch mesh with reinforcements. As a result, it enables the shoe to fit better to the shape of the foot without having to sacrifice the shoe’s durability. This product is available in five colors. The shaft measures approximately 2.5 inches from the arch. It also allows for more ankle support than low-top shoes. Moreover, the shoe features a re-designed Parallel Wave that lies between the U4ic and U4iX midsole. 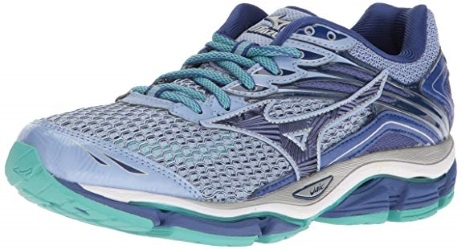 This provides the best cushioning possible in terms of softness, without sacrificing the light weight of the shoe. A lot of the times, people don’t realize how much their current non-cushioned shoe may be affecting their overall health. Besides the benefits listed above, there are a few things you should be wary of when it comes to wearing unprotected shoes. Worn Down Heels – Shoes that are not leveled properly may lead to posture imbalances that may eventually harm your overall stance and gait. This is because being unleveled means that the shoe can no longer support your feet’s weight. Therefore, the part that is worn-down attracts most of the concentration. Although this may not be uncomfortable, it can lead to problems in the long run. Using the Same Kind of Shoes – Running shoes have to be replaced when you have worn them for a hundred miles. This is because when the shoes reach that point, the sole and cushioning begin to wear down, and its ability to support your feet efficiently is decreased to the point where it can become useless. Using the same kind of shoes whenever you run may be cost-efficient, but this will eventually lead to foot problems. Using Narrow-Toed Shoes – One of the most common reasons why people experience foot pain is because they wear shoes that are too narrow for them. Continuous use of narrow shoes may result in injuries such as bunions, calluses, and hammertoes. Sometimes it may even go so far as to cause muscle imbalances or nerve damage. Trying on Shoes in the Morning – It is a known fact that the feet tend to be bigger later in the day as a result of the circulation of the blood in the body that pools down to the lower part of the body, which is the feet as the day goes on. One of the most common mistakes of buyers or new wearers of running shoes is that they try on their desired shoes early in the morning, thereby only to find their feet being too big later on during the day. Trying the Shoes on Too Quickly – Before you buy shoes, you must go through the proper test to assess whether the shoes are a good fit for your feet, which of course is by testing it. One of the reasons why the shoe you bought isn’t a good fit for you is because you probably have tried on the shoes too quickly without giving your feet ample time to get used to the shoe, which is usually around ten minutes. Not Wearing Shoes with Arch Supports – This is mostly true for overpronators, who find themselves in pain when they are walking or running with shoes that do not have arch supports. This is because the arch supports are responsible for correcting the alignment of the feet apart from providing comfort to the wearer. Thus, if you are an overpronator who wears shoes with no arch support, there is no way that you will find your shoe comfortable for a couple of hours. In summary, there are plenty of reasons why you may be feeling the pains of a bad shoe. Cushioning is just one factor. However, even if people think it is not that big, it does influence quite a lot. Therefore, before going out and purchasing just any shoe, look at the list we mentioned above. This can give you some idea on what the best cushioned running shoes may be.